Marinate sliced daikon radish in 3tablespoon vinegar,1tablespoon milin,1/2tablespoon sugar and 1/2teaspoon salt for one night. 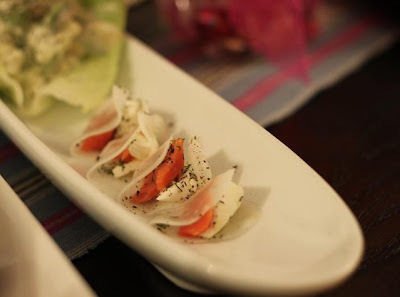 Wrap smoked salmon and cheese with the sliced daikon. Sprinkle salt over them.